When it comes to getting a chimney liner to install in your home, HomeSaver has the product that will help you get the job done right. 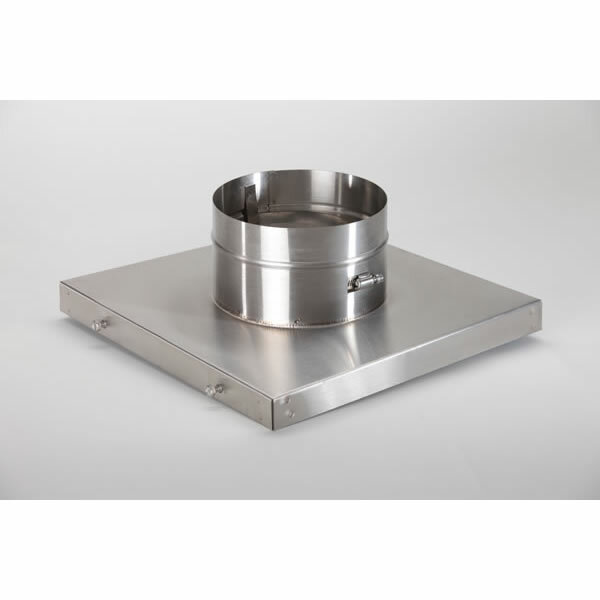 Their Terra Cotta Top Plate is designed for 5.5 Inch Pro and UltraPro Chimney Liners. making sure that your chimney is well secured and will not move around for any reason. After all, why should you be concerned about whether or not your fireplace will stay in place when you have so many other things with which you can occupy yourself. What is the terracotta size? The bottom that will connect to the terracotta will be 13" x 13". Is this top plate made of stainless steel or galvanized steel? Per the manufacturer, this plate is made of 304 alloy stainless steel.